You ever see the Doctor Who episode 'Turn Left'? Or indeed, other less amazing parallel universe stories of the TV world? 'Sliders' later draggy seasons, for example? Well, too bad, because today I'm here in praise of the Doctors who never were. But they were, you know. Every possibility is played out in parallel worlds, or so states the quantum theory of existence (or something I vaguely remember hearing about on 'Futurama'). There's the fun Peter Cushing Doctor of the 1960's movies (glowering at you on the left there). There are those who played the Doctor on stage. Truly a rarified experience: decades in the past and a continent away, they were the Doctor to their specific audience only. Truly unique. 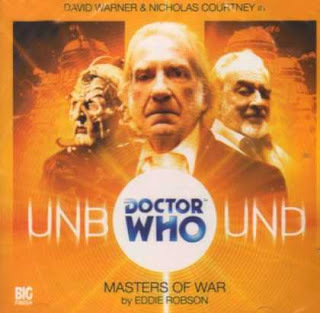 There's an alternate third regeneration of the Doctor in the 'Doctor Who Unbound' audio adventures. It's only FREAKIN' David Warner!!! That was a little geek moment. He was Dillenger and SARK in 'TRON' and several great Star Trek aliens. He's just DAVID WARNER! There are other great Doctors in that series. Some people speak highly of Sir Derek Jacobi. But for my money he made a better MASTER than a Doctor. His Master was a towering achievement in such a short time, dripping with pure malevolence. Yeeurrgh! I'm shuddering just thinking about it... But I'm getting away from the topic. 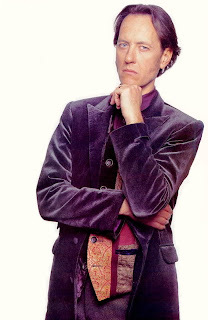 There are at least two separate but equal parallel realities where Richard E. Grant was the Doctor. The internet cartoon podcast 'Scream of the Shalka' and it's sequels were set in the relatively serious-minded one. This was the other. 'The Curse of Fatal Death' was the comic epitaph for the classic series and appropriately enough written by 2010 series showrunner Steven Moffat. Do you have twenty minutes to spare? Then watch it. It defines classic 'Doctor Who' better than I have in twenty days or ever could. But it was fun trying. Must dash.